The need for progressive male leaders who recognize the value that a diverse leadership board brings is crucial in today's times. I have been in the HR domain for more than 25 years and have worked with the government and in a variety of sectors like the FMCG, telecommunications, and technology industries. My career has been a lot about learning, whether professional or personal. I have had three distinct phases of learning in my career — the first one was about learning the basics of HR, understanding the field, learning how to recruit, setting up L&D systems, and ensuring that I had technically sound knowledge and skills. The second phase was about learning to be a strategic business partner to teams, using HR solutions to achieve business success, and establishing strong people practices. In the third phase, as HR delivery models became more global and transformative in nature, I took on global responsibilities to partner with business leadership to drive business success globally. Today, I am responsible for the global HR strategy in Surbana Jurong to ensure that we help the organization and employees be successful. Most of the companies and industries I have worked in have been male-dominated, particularly the leadership. When I started out, I felt that while many women took themselves out of the race because they did not have the time, energy, or commitment for a hectic and fast-paced job, others chose not to work with the expectation of always being ‘available’. And I believe this is still prevalent today and particularly more so in the Asian region. I do feel that Asian women have to fight harder for opportunities as they get restricted to regional leadership most of the times. At the same time, women leaders need to take it upon themselves to create avenues that promote other women talent on the global platform. In organizations, policies to have more women leaders need to be driven from the top, along with the need for progressive male leaders who recognize the value that a diverse leadership brings, is crucial in today’s times. Women leaders, on the other hand, need to continually perform and maintain their credibility by being experts in their fields and demonstrating commitment. I also feel that while men usually grab larger roles with both hands, women don’t and usually hesitate. We need to change this. Women should consider the approach men use, say ‘yes’ to the opportunities that come their way, and figure out the details later. 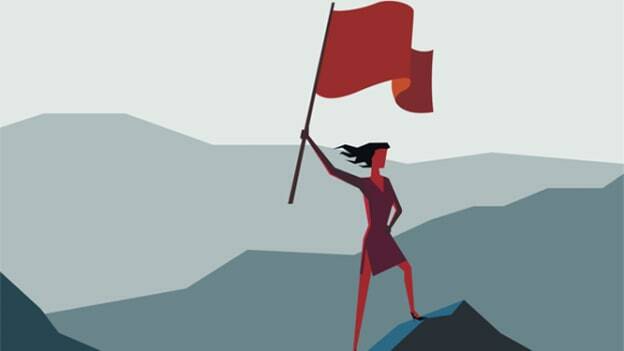 I am aware that this is a massive mindset shift and change to take on, and won’t be an easy one, but it will ensure that women overcome self-limiting beliefs and doubts so that they can propel themselves and their organizations towards global success. At every stage of the HR policy intervention, there needs to be an intentional look at objective numbers for gender parity. For instance, ensuring that at least 50% of the applications received from recruiters are that of women. Similarly, a gender pay gap analysis should be undertaken for roles as well. It is important to identify the driving forces behind D&I policies and measure them, track their growth, set goals, and hold people accountable to reach these goals. These numbers need to be tracked much like margins and profits, because they ensure that women leaders and employees – the intangible assets – are given their due. Carmen Wee is the Group CHRO at Surbana Jurong.